Happy new year, the year of happyness and successful to all of you. melee weapons, and magic weapons to use. was designed in a very user friendly interface, and you will never get lost again with Navigate 7.
at handling large color and bilevel images such as JPEG, TIFF, CAL and MOD:CA files. the .dat file extension to .mpg to play with PocketTV). extension to .mpg to play with PocketTV. PocketTV provides you with the unsurpassed video and audio quality and many useful features not found in other video players. PocketTV takes full advantage of the new features of Windows Mobile 6 and 5 (on-the-fly display rotation, Soft Keys, VGA resolution, etc). 3200 series or the Intel Marathon 2700G), so it can play VGA-resolution MPEG files (i.e. DVD quality) with optimum quality. 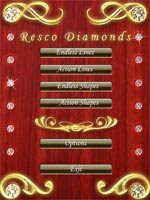 Resco Photo Viewer is optimized for browsing albums and folders with numerous images. The split mode allows easy browsing of your image folders with instant preview. 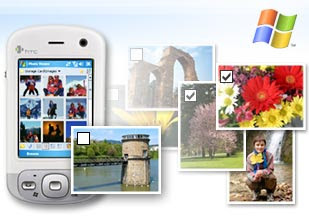 Resco Viewer offers several thumbnail modes and common image operations such as copy/move, rename, delete, reorder, send via email/IrDA/Bluetooth. All of this can be done in the multi-selection mode. You can select your favorite image and use it as a wallpaper for the Today screen - even with the user determined transparency. Assign to contact feature allows selection of suitable image cutout for your address book. with up to 4 players! VGA supported), nice sounds and original game concept. Enjoy 3 mini-games included! sounds and original game concept. Enjoy 3 mini-games included! iSiloX converts content to the iSilo 3.x document format for reading with iSilo. Content can be located on the Web or in files on your local or network drives. Supported file formats include HTML, CSS, text, Palm Doc, JPEG, GIF, BMP, and PNG. Use iSiloX to keep up to date with your favorite sites on the Internet. Use it for novels and reference material and many other uses. 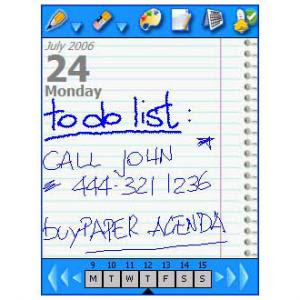 PaperAgenda is a software that gives you the opportunity to use your PDA as if it were a papery notebook. For every day of the year there is a blank page that you can fill with any type of information or drawing, handwriting on it using the stylus. It supports Windows Mobile 5, Windows Mobile 2003/SE and Pocket PC 2002.
installation on Windows Mobile Pocket PC device! 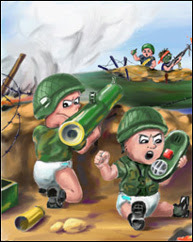 The WINNER of the PocketPC Magazine Awards 2006, 2005. This advanced File Explorer can compress files with build-in ZIP, encrypt files, view registry, view text and image files. Summary: Use your voice to look up contacts, make phone calls, get calendar information, and play and control your music, as well as start programs. Requirements: Active Sync 4.0 or higher Windows Mobile 5.0. 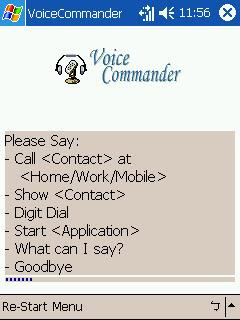 8MB of device storage is required to install Voice Command. Voice Command will consume 4MB of device storage space after the installation has completed. measures to American measures. - At work: Need to convert horsepower into watts? No problem, select the value and PUC will do the rest. must have converter utility now available for just $4.99. The DreameeSoft Unit Converter Pro is a fully featured unit converter offering various unit conversions in a single app. The Unit Converter Pro offers conversions for 906 Units in 45 Categories with rich user interface. The Unit Converter Pro helps you to convert any time whether you are on the road or on the measurement field. The Software Features a custom Numerical KeyPad designed by DreameeSoft for quick data entry and saves a lot of user interface screen size when compared to working with the default SIP (Software Input Panel) option. The resultant values for all the units of the current category are calculated on-the-fly so that you need not worry about picking a target unit from a long drop down list. Just Scroll down and get the result instantly !!! to find the necessary music file in MP3, WAV or OGG format and start playing it. original file once again to select a different part. 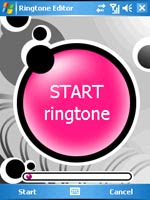 Create your own collection of ringtones with ease! Microsoft Transcriber is an award winning application that uses proprietary Transcriber technology to bring you unprecedented recognition accuracy and ease of use to your Pocket PC. Transcriber lets you take down a phone number, take notes and more, just as easily and naturally as writing on a piece of paper. Transcriber recognizes all handwriting, be it cursive, printed or a combination of both. 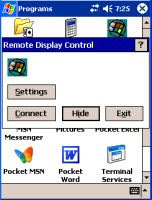 Many Windows CE based applications have small cramped keyboards, or no keyboard at all. Transcriber frees you from the constraints imposed by these applications and unleashes their power. Unlike WM Pocket PC today screen customization can be done fairly easy, the WM Smartphone today screen is defined in XML format, which is not easy to customize. Luckily, V2R’s Home Screen Editor is designed just for the ease of customization of the Today screen on WM 5.0 Smartphones. The leading task management software for the PocketPC, WisBar Advance brings new life to your device with extended functionality and the ability to change the look and feel of the OS. 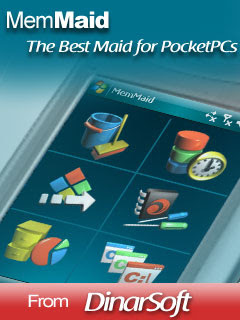 WisBar is the leading task management software for the PocketPC. Based upon WisBar 1.0.4 (created by Walker's Internet Service), WisBar Advance takes task management to a new level. WisBar Advance provides advanced task management by replacing the taskbar provided with the Pocket PC operating system. Once installed, WisBar Advance can be customized to look and act like the operating system taskbar, or you can customize its appearance and add buttons to increase its functionality. 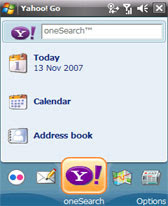 Here’s a glimpse into some of Yahoo! Go's cool features: check out your Yahoo! email on the go; find anything around you using Local & Maps; do better Search: Yahoo! oneSearch gives you instant answers instead of just web links; share photos with friends-Use Flickr on your phone to easily share, view and comment on pics. Yahoo! Go is a free application. However, downloading and using Yahoo! Go requires data connectivity from your wireless carrier, who may charge additional fees. Start from any of 101 levels. Play by order or randomly selected levels. Play levels generated on fly. Skip levels you don't like. Bonuses (double, fire ball, etc.) are optional. 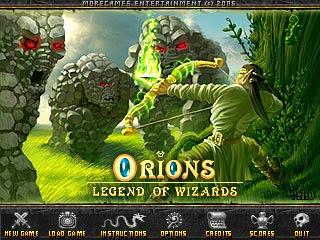 They had promised it to us and one created, I speak well on addon about the play Orion: Legend of Wizard. They one added new charts and certain options strong sympathetic nerve. and to press on the new Teleport button in order to go there. What a saving of time!!! Tennis AddictTM is sure to please even the most demanding sports fan. The intuitive interface and realistic ball physics make it easy to play, even for beginners. No fumbling with buttons, as all game input is through the PocketPC's stylus. JAMDAT's unique PSITM (Precise Stylus Input) technology lets you control all play functions with high accuracy, including service, player movement, and racquet play, giving you unprecedented "feel" for the game. The more you play, the better your skills at controlling ball speed and placement. Calc98 is freeware. You may use the software for a trial period of 90 days. After that time we ask you to register the product, free of charge. A registration form is included with the download files. Alternatively, you can use our Online Registration Form. You can also order the latest version of Calc98 for Windows or Pocket PC for immediate download. We also have a CD available with the latest version supporting most Windows and Windows CE devices, along with other software and extras. moment and continue it from where it is paused. It’s convenient for you to play on the go. how the slurp will cause the drops to reform. Make big drops and slurp up big points! This program perform a Softreset, every day at self define time. Newest technology: Program developed in Visual Studio.Net. its color turns to red. The task is solved when all destination cells get occupied. models for foreign software & web development companies looking to build an outsourcing partnership. four blocks of the same color to clear space! Working from two angles at the same time makes for interesting and unique game play! annihilate it completely. Strike hard, fast and without mercy! Develop you mental abilities on the journey to the world of Sudoku with this game. Solution technique guide, step-by-step hint, skins and more. 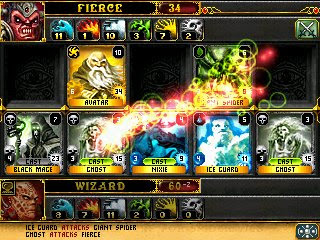 logic technique based on guide. 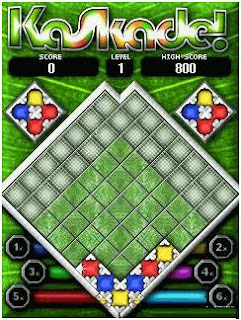 Solution techniques guide contains the description of all logical techniques that can be used to solve Sudoku puzzles. Analyse option will show which logical tecniques are used to solve the puzzle. Filter mode will greatly help you to find some solution techniques. enrich the gameplay both in campaign and duel modes. The most enjoyable Sudoku with a pleasant interface, elegant audio and engaging gameplay. Have a great time with Sensible Sudoku! Sensible Sudoku includes everything that makes playing Sudoku on a mobile a truly enjoyable experience: pencil marks, hints, undo and auto-save. The skin enabled user interface provides an easy way to listen to your favorite radios. 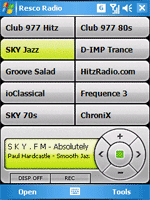 Just choose your favourite 9 radio stations and assign them to the 9 preset buttons. 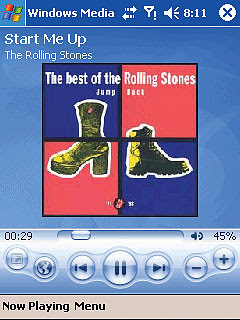 Whenever you want to tune in, tap a button and you're ready to jam! ...or you can use easy import from a M3U or PLS file. Just visit the radio's webpage, find the link to a M3U or PLS file, download the file, copy it to your Pocket PC and import it to Resco Radio. 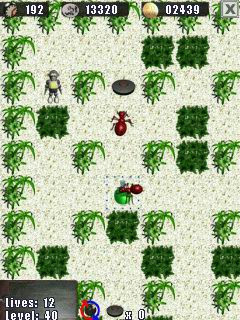 game modes include a time trial, an endless game, and games the aim of which is to create lines or arbitrary shapes. you were chosen to become member of a special task force. This unit protects the airspace against enemy attacks of different sorts. Most of its missions are top secret. Our technology is highly advanced, the machines are developed in secret laboratories using the latest technology. We will give you just the basic weapons and a plane. Your salary will be based on your performance during individual missions and combat. From what you earn, you can buy new weapons to use with your plane. We are not a charity and the development costs loads of money, so do not let the price surprise you. to navigate menus, dialogs, and even enter text on the PAC Mate "screen." units. So go and try any unit you may think of (the persian royal cubit, for instance!). It will be fun for sure! 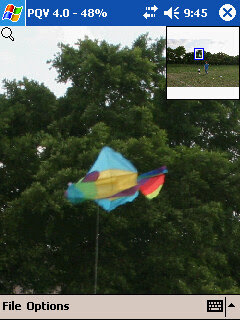 Applian PicturePerfect is an image viewer. It is, however, not just another image viewer a€“ PicturePerfect offers some useful features. The application is indeed powerful. The other advantage is its speed a€“ images are opened very fast, so are created the thumbnails. After the installation, you may notice that the image files are not opened by default by Picture Perfect. This is because user can choose the application he or she wants the image files to be opened with. It is possible to use PicturePerfect, Internet Explorer or Picture Viewer (iPaq only) for this purpose. Having the file associations set, we can start viewing our images. To do it, you can either tap a file in File Explorer or open it from PicturePerfect. During the installation process, some sample images are installed with PicturePerfect. However, for the test I used my own picture taken in Venice taken two years ago. 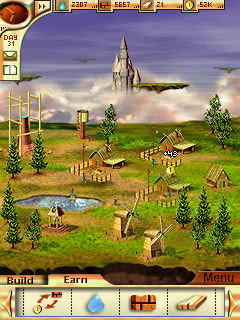 The bottom bar contains two menus and some icons. The icons are: Fullscreen, Previous/Next Image, Zoom In and Thumbnails, which can be used to navigate albums. In thumbnail view mode you can view 4, 9 or even 16 image thumbnails on the screen simultaneously and easily locate the one you want to view. To make it even easier you can select the Enlarge option. This crops the image thumbnail, showing only the central part of it and thus revealing more details in the thumbnail view. 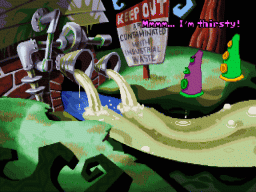 Palm OS titles today: Pop's Pipes and Slurp. for Palm OS in the coming weeks. map and an analog clock showing the current local time in its Capital. 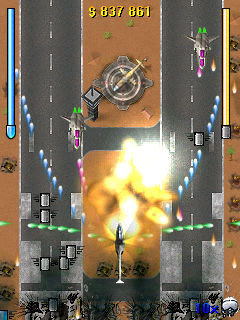 The Corsair is our brand new Shoot 'em Up game for Windows Mobile Pocket PC devices. your life, if you can survive!